BADDECK, NOVA SCOTIA—Researchers reportedly uncovered new journals Wednesday that revealed Alexander Graham Bell originally invented the telephone as the first step in consolidating all American businesses into a single monopoly. “Apparently overlooked until now, Bell’s papers indicate that from his earliest prototypes, he envisioned the telephone as a groundbreaking device that would ultimately lead to every multinational American telecom company, and indeed, all other businesses, merging into one single conglomerate that controls everything,” said Kendra Lally, spokesperson for the Alexander Graham Bell National Historic Site, showing reporters the inventor’s early designs that traced the evolution of the primitive telephone into a few massive multibillion-dollar tech companies that would form a single ungovernable corporate behemoth by the early 21st century. 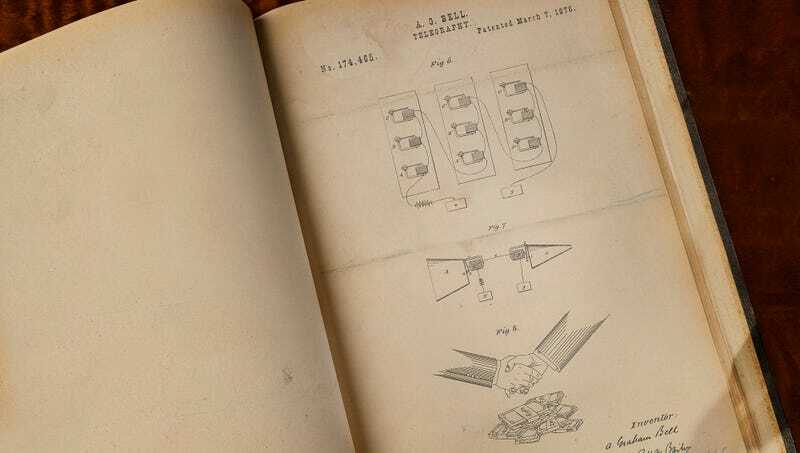 “It’s remarkable, really, the scope of Bell’s vision that the simple telephone was only the beginning, how he planned to demonstrate the communication device to Americans in the 1870s to drum up interest, create the Bell Telephone Company to distribute his design to the masses, and fight over patents with competitors to ultimately foster a world where the telephone would spur a massive wave of vertical integration permitted by the neoliberal deregulation of the American capitalist economy. The ubiquity of communication devices, the lack of consumer choice, the unchecked flow of private information between commercial and governmental sectors, the surveillance, the unfettered power that the market holds over the American consumer—it’s all there in his notes.” Lally added that the recently uncovered journals also showed that Bell intended the telephone to be merely the prelude to a hostile takeover of the AT&T–Time Warner conglomerate by Cricket Wireless, the final, all-encompassing company in the world.